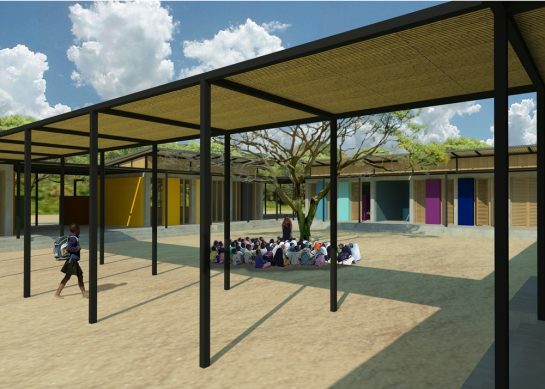 FDP’s sister company, LOM architecture and design, has developed a model ‘off grid’ primary school concept for client Ghana Commercial Bank (GCB), as part of the bank’s corporate social responsibility (CSR) initiative, that can be rolled out to any part of the west African nation. The school project emanated from a commission that, FDP (financial design specialists), received to re-position GCB with a new brand and retail experience. The new brand values place the bank at the heart of the Ghanaian community and the CSR initiative was a logical extension helping the bank to invest in the development of the Ghanaian economy through education. 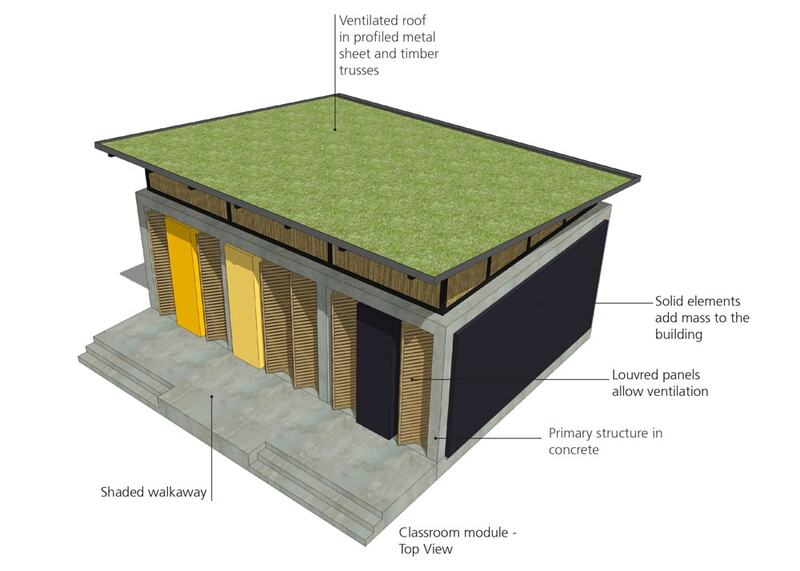 Simon Bird, director FDP, described the project “This was a great opportunity to design a concept school that was high quality but also sustainable with zero running costs. 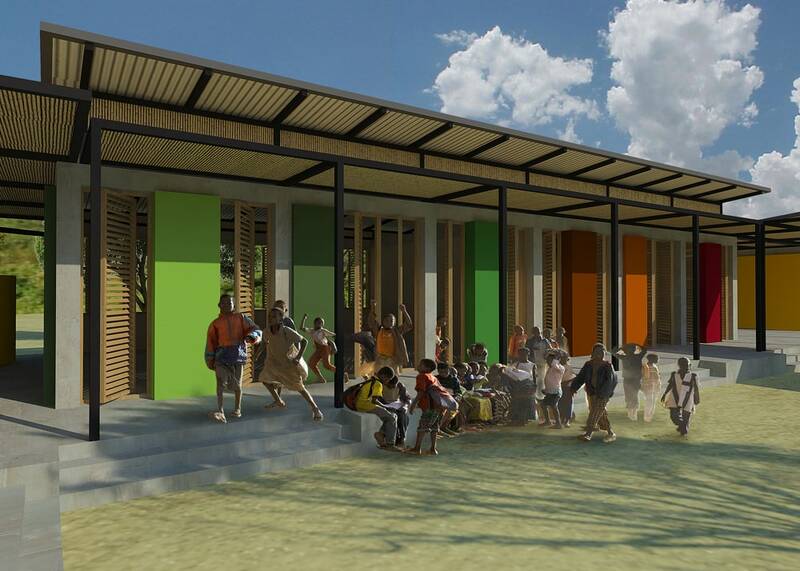 It had to be easy to build by each local community using local labour and readily available materials. 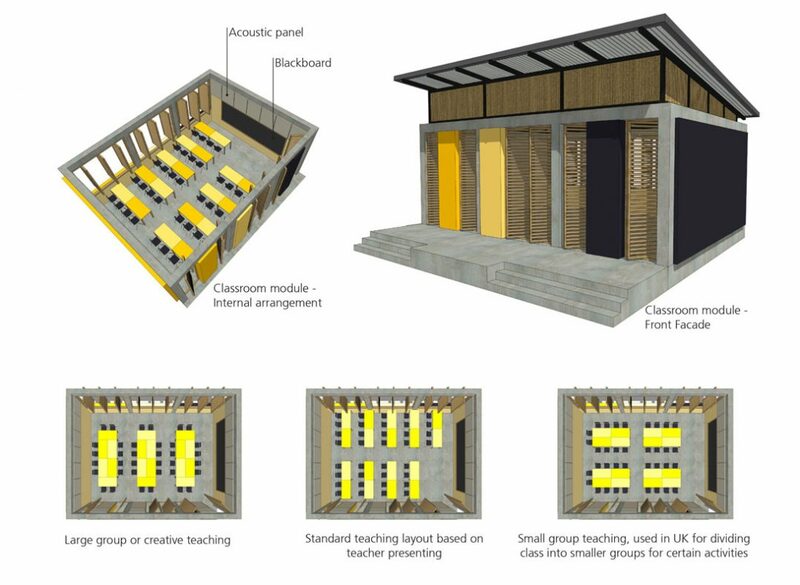 “Our design will provide a flexible model with classrooms, staff rooms, toilet facilities and outdoor breakout spaces as a ‘kit-of-parts’ that different communities will be able to configure to suit their needs. In Ghana around 440,000 primary-age children are still not in school despite the UN making universal primary schooling one of eight millennium development goals 16 years ago. GCB as the second biggest bank in the country wanted to focus its CSR activities more strategically on education – which is fundamental to the economic development and prosperity of the nation. 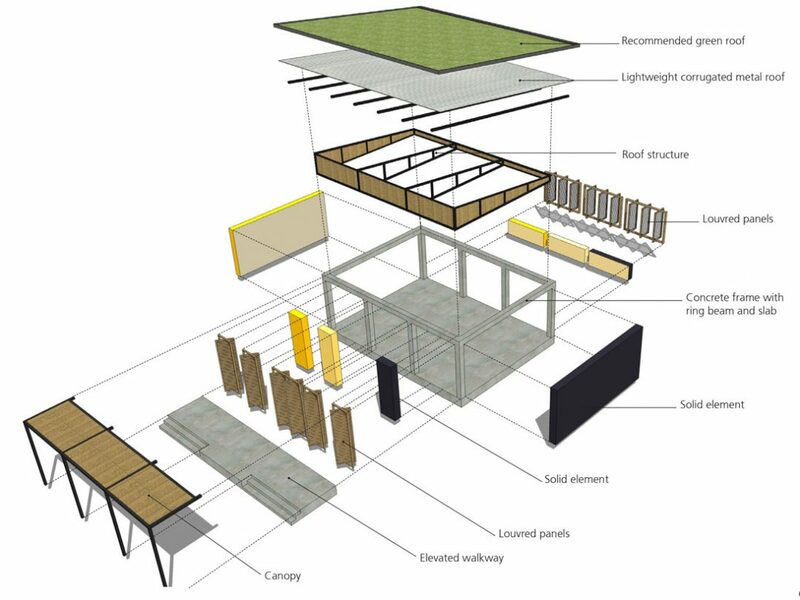 LOM provided its services for free on the project with advice from key UK consultants Cundall and Elliott Wood structural and civil engineers.